If only every day were election day, sigh. 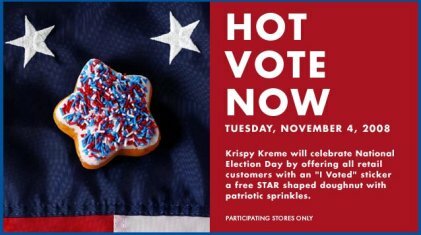 It’s illegal to give gifts for voting, so now anyone can get a free coffee/donut/scoop of ice cream regardless of voter status. Considering many places are reporting 85% turnout, it may not make too much difference. Sweet! I don’t need to lie now.